Nowadays you are able to choose among a lot of available first-class coolers that are made with using rotationally molding technology and can hold an ice inside for several days. It’s very good, but there are a lot of cases when you need something for more long-term using. For example when you are going to the long trip on your boat or kayak, or when you decided to spend the comparably long time period camping you need to consider some option with longer duration of ice retention period. After spending a lot of time comparing various models from different manufacturers with different characteristics our team has come to a conclusion that the best option for the long-term using is fridge freezers made by Engel manufacturer. Let’s look deeper on these guys. 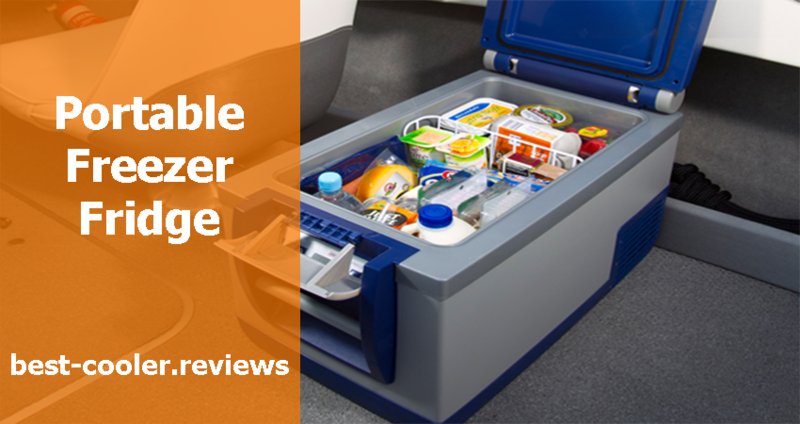 Coolers and Fridge Freezers. What is the Difference? 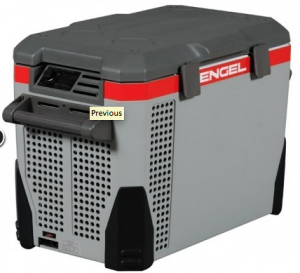 It’s almost impossible not to hear nowadays about such coolers’ brand as Engel. 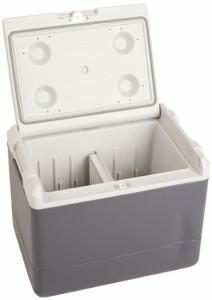 Coolers made by this manufacturer are world famous because of their high quality and durability. While watching the various cooler video reviews, with the Engel coolers you will understand all the peculiarities and main features of its production, but now it’s time to speak about fridge freezers. Let’s consider what is the difference between fridge freezers and coolers? The main difference between these two types of Engel (and not only) products is that each fridge freezer is equipped with the integrated swing motor “on its board”. It allows using it during unlimited time period, thereby making it very useful during long trips or camping. The Engel options are also compatible with the solar power. But also if you don’t want to use the solar power or don’t have ability to use it because of weather conditions and other reasons you can also power the motor with the 12/24V. Each fridge freezer made by Engel can boast of high durability level and the rotationally molding technology used. These freezers will be a perfect choice for people who spend a lot of time in marine environment. Besides of the long-term using, these fridges are resistant for the corrosion that in the majority of cases occurs when using cooler or fridge freezer in the marine conditions, with the permanent contact with the salt water. Other electric options can not provide such resistance and as a rule always suffer from such type of corrosion. 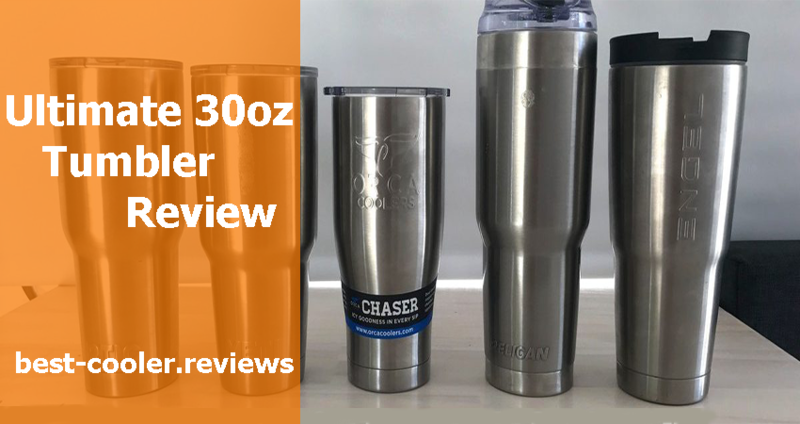 With this option you will have a forty quart capacity that together with ability of long term using will be enough for long trips on the water or prolonged camping. We don’t want you to think that the model made by Engel is one and only available nowadays, no it isn’t. You can always choose similar options with the electrical supply that don’t need ice to keep the freeze inside. Other options that are worth your attention are Coleman Thermoelectric and the Igloo Iceless option. Both these models are able to keep your goods cold as long as the power will be switched on. 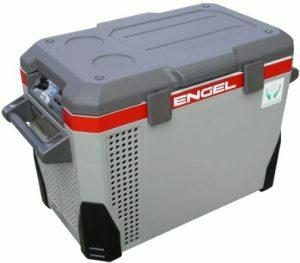 In comparison with these two options Engel cooler is the largest one, so if you need the smaller option for the limited space in your office or dormitory, it will be better to choose either Igloo Iceless option (power supply is equal to 12V DC) or Coleman Thermoelectric (12V and 110V adapter for power). 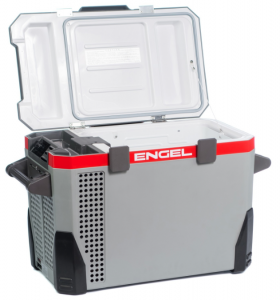 Also it should be noted that the Engel brand offers a unique technology implemented that allows you freeze the content of your cooler consistently, thereby giving you the ability to keep your goods frozen during the long period of time. Because of this feature the price of fridge freezers made by Engel manufacturer is higher in comparison with other options. If you think that you don’t need this feature or it is too expensive to afford purchasing it, we recommend you to pay your attention on Igloo coolers which offer the best price tag together with good high-end features implemented. 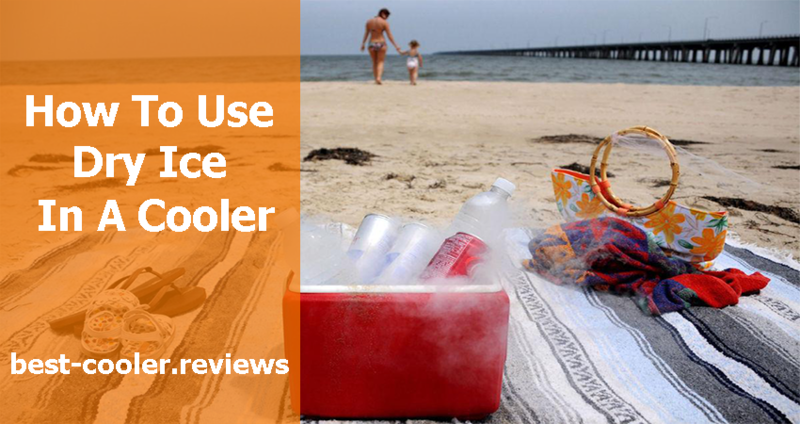 If you need more options to choose from, we present you the list of all available nowadays 12V Thermoelectric Coolers that are reviewed here. Also in a case if you are searching for the smaller and more portable options-take a closer look on the option made by Engel manufacturer presented below this paragraph.